Ascending Angels provide a healing solution to all those they meet. Through their Healing Workshops and Events they offer their clients the opportunity to make great positive changes to their life. Working within various companies, Ascending Angels provide a quality service promoting healing to help clients focus, adapt and transform dreams into achieveable goals. With a history in business, remedial massage and a combined healing experience of over 18 years Ascending Angels offer a professional caring aid for balancing your mind, body and soul. Ascending Angels work with many Divine Light Beings who are connecting to us all here on Earth from a lighter vibration, Divine Light Beings such as Ascended Masters and Archangels. Through their Healing Workshops Ascending Angels offer attunements to connect you to these Divine Light Beings and the Healing they channel. 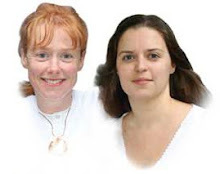 Ascending Angels offer various workshops and events in London, Kent and occasionally Europe and USA.